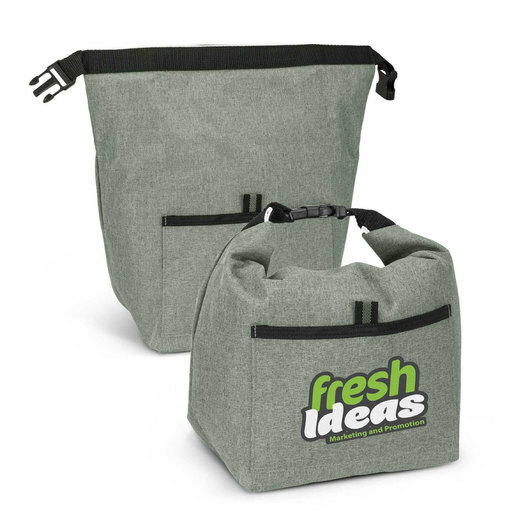 A high quality print on these cooler bags will not go unnoticed! Get a quote today. Have your lunch in style with these lunch cooler bags. 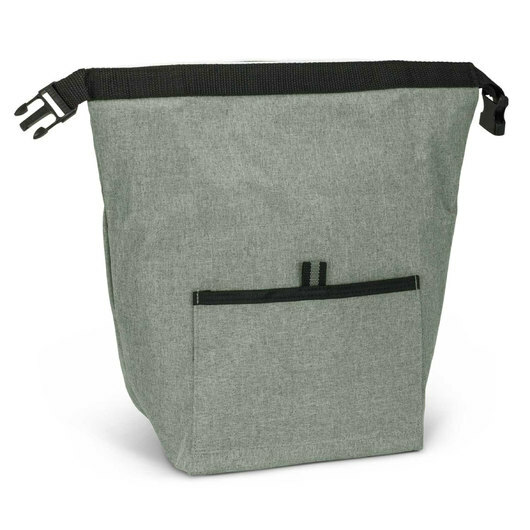 They have taken inspiration from current retail trends and brought you are a cooler bag that's practical and something your clients/customers will love. They have a PE foam insulation encased in a waterproof PEVA inner liner. 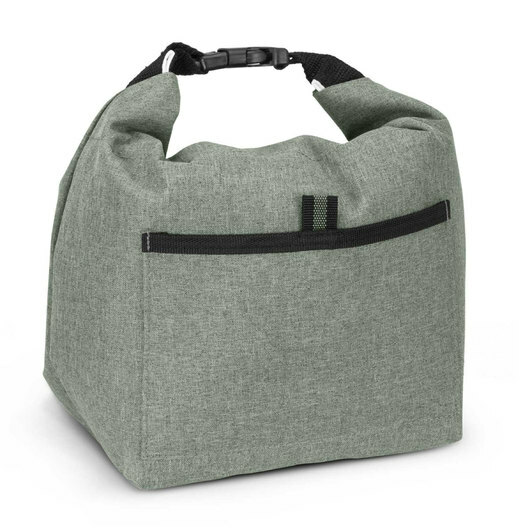 The outer construction is made from premium heather style poly-canvas with a handy slip pocket on the front. It also has a secure roll top and buckle closure which forms a carry handle when closed.